Air Cairo Airbus A320-200 for the FAIB A320-200 CFM FS9 base model. 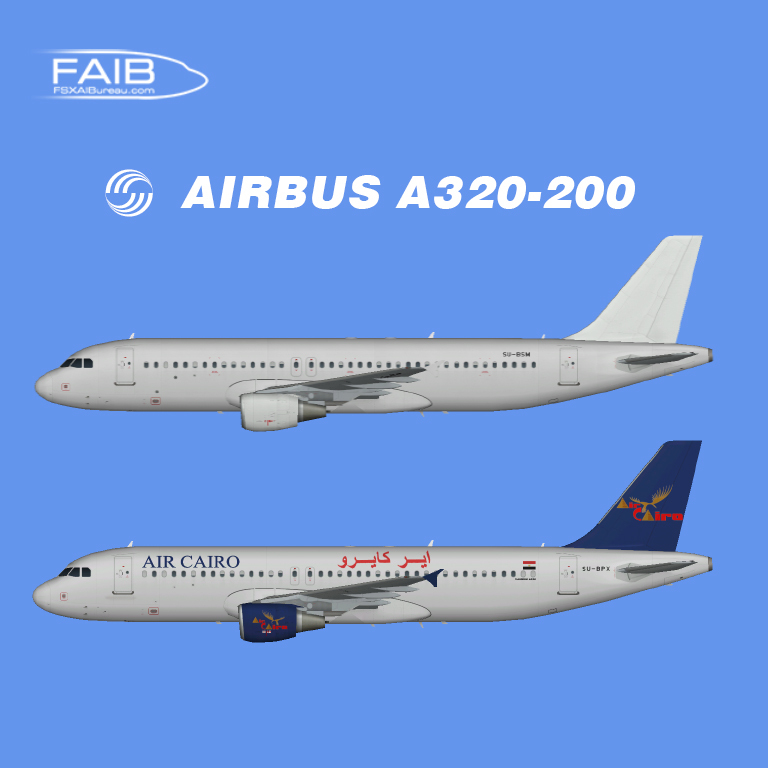 Air Cairo Airbus A320-200 FS9 "2018 liverys"
Air Cairo Airbus A320-200 for the FAIB A320-200 CFM FSX base model. Air Cairo Airbus A320-200 FSX "2018 liverys"
Air Cairo Airbus A320-200 FSX for the FAIB A320-200 CFM FSX base model.